We get over 1000 visitors for our Tablet PC DIY Project posted nearly a year ago.The under $ 500 Tablet PC DIY Project was written for an online magazine. This post is a comparison of our old $ 500 Tablet PC DIY Project and the currently available Cheap Android Tabs and some problems which visitors are facing with Tablet PC DIY Project. The name of iPad comes whenever a post is going to be about Tablet PC DIY Project or Cheap Android Tabs. 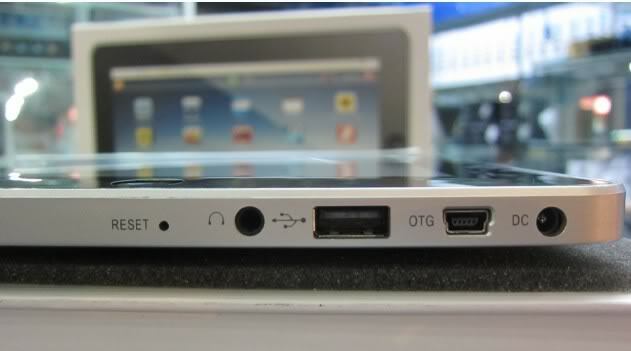 We are safely putting iPad aside simply for its price – our Tablet PC DIY Project might be a good solution for the price. Many visitors has written comments on Tablet PC DIY Project post (most are gone after our blog was hacked). The casing needed for our Tablet PC DIY Project – Most are unable to find one and has asked where to find one. ?Acer Iconia Tab W500-BZ467 costs almost the same – if you can not take the risk, you might think of it. ?Still, many would love to go for Tablet PC DIY Project. The casing needed for Tablet PC DIY Project can be found in Chinese electronics selling shops or where these Chinese electronic goods are repaired. Most Cheap Chinese Android Tabs will be available at half of the cost for our Tablet PC DIY Project – $150 – $ 250 per piece. All these Chinese Android Tabs as well as iPad has ARM processor not a Mobile PC processor. In other words, these Cheap Chinese Android Tabs or iPad can not run a full fledged Desktop Operating system because of the Processor architecture. So, the end result of our Tablet PC DIY Project will be able to run any OS – Linux, Windows or anything. On the other hand, the Chinese Android Tabs can not run anything more than a specially configured OS for mobile devices. For Windows, it will be able to run Windows CE not Windows 7, if you can takeout the ROM. Our Tablet PC DIY Project is focused to create a full PC, just a small and handy laptop. This Article Has Been Shared 3158 Times! Thank you a bunch for sharing this with all people you actually recognise what you are speaking approximately! Bookmarked. Please also visit my website =). We can have a link exchange agreement between us! Cite this article as: Abhishek Ghosh, "Tablet PC DIY Project and Cheap Android Tabs – Comparison," in The Customize Windows, October 31, 2011, April 20, 2019, https://thecustomizewindows.com/2011/10/tablet-pc-diy-project-and-cheap-android-tabs-comparison/.